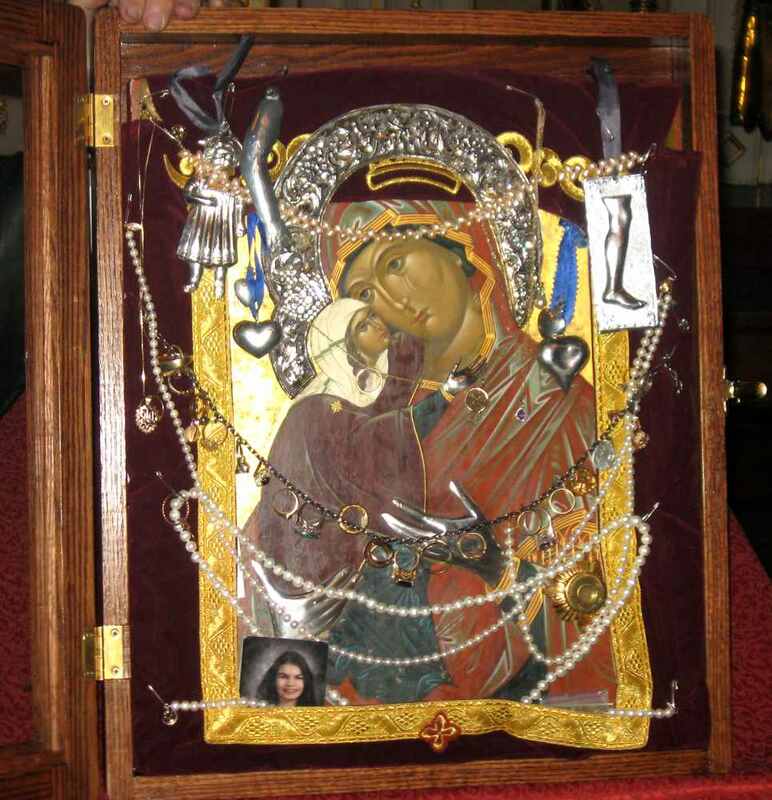 The Myrrh-Streaming Icon of Saint Anna visited Saint Basil’s Orthodox Church in Watervliet NY on Friday, 12 April. Over 120 parish faithful and guests attended the Molieben and Akathist to the Holy and Righteous Joachim and Anna celebrated by Father Peter Olsen (parish rector). Assisting clergy were Father Igor Burdikoff and Father Matthew Markewich. The homily was given by the guardian of the icon, Father Athanasy Mastalsky of Saint Tikhon’s Monastery. He explained the history of the icon and how grace is given to us by God through this miraculous icon. 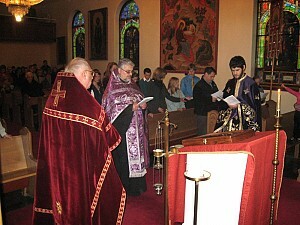 At the conclusion of the service all present were anointed with the flowing myrrh (oil) from the icon. A fellowship at the church center followed.